You’ve all heard the story. A music hungry individual moves to L.A. to satiate his dreams of becoming a successful artist. Between struggles to hold a day job, find the perfect sound and book enough gigs to make a name for himself, he becomes mentally and physically exhausted. And that’s the end of it. However, that wasn’t the case for Danny Aguiluz, Chris Johansen, Matt Geronimo, Lorenzo Perea, and Dakota Clark. Plus, to make the journey more difficult, they were robbed of their music equipment and truly were at a loss. But they prevailed, and that message is heard loud and clear in their self-titled, debut album, Attaloss, released today, April 10. Initially starting as a group of four, Aguiluz, Johansen, Perea, and Clark all pursued their dream to make a living with music by banding together after meeting in Los Angeles. Soon thereafter came the daunting task of choosing a name. During the brainstorming process, the group received the unfortunate news that their recording studio had been broken into and all of their equipment was gone. This made them realize two things: they were suffering a serious blow to their career and the group’s name was inarguably Attaloss. As luck would have it, guitarist Johansen worked with the police to help locate their stolen equipment. A few long months later, the group’s equipment was found mostly intact. They wasted no time and nailed down the first five tracks of the album, all of which are energy driven rock songs with an inspiring message. The instrumentation combined with the feeling in Aguiluz’ voice gives Attaloss a full sound in every song on the album. Having experienced a traumatic event in the early days of the group’s existence gives Attaloss an upper hand. It allows them to play with raw emotion and deliver a humanized experience. The cry of the guitar in Fate Will Only Know Tomorrow is a true testament to the strength of the emotion found throughout the album. Once the heavy hitting tracks were recorded and their emotions were laid on the table, the group of four began to tour and played with the likes of Neon Trees, Smashing Pumpkins and Fallout Boy’s Patrick Stump. As all tours teach a musician something, Attaloss couldn’t help but notice that they weren’t translating their recorded sound to a live venue. They added a fifth member, guitarist and vocalist Matt Geronimo, and spent time in the studio to record acoustic versions of the five already recorded tracks. Croons and simple harmonies took the place of belted notes and power chords, giving the album an incredibly well rounded sound. 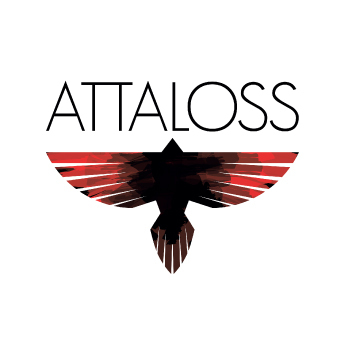 Both versions, the heavy hitting tracks and softer acoustics, show that Attaloss is able to translate the journey to form a band and the obstacles along the way into a killer debut album. With titles such as Open Door, Move On, and Forward, the group almost taunts their thief and rubs their ability to turn a loss into an extremely talented group of five guys in his face. Kudos to them for doing so, and I urge Attaloss to continue. Show off with your multi-city tour and numerous requests from fans to perform in their hometowns. Quite frankly, I don’t think Attaloss is missing much of anything. ***HauteThought exlusive! Click here for a free download of Open Door! Tags: Attaloss, Chris Johansen, Dakota Clark, Danny Aguiluz, Fallout Boy, Fate Will Only Know Tomorrow, Forward, Lorenzo Perea, Matt Geronimo, Move On, Music, Neon Trees, Open Door, Patrick Stump, rock music, Rock Ridge Music, self-titled album, Smashing Pumpkins. Bookmark the permalink.